In searching around the Internet, you can find people saying that it is easy to establish your own home orchard in Virginia. My answer is, it depends. What are your expectations? If you desire to have good, clean fruit, then it takes some work, time and a lot of mother nature’s cooperation! If you are okay with removing scabby spots and worms from deformed fruit, well, I guess you can do it the easy way! 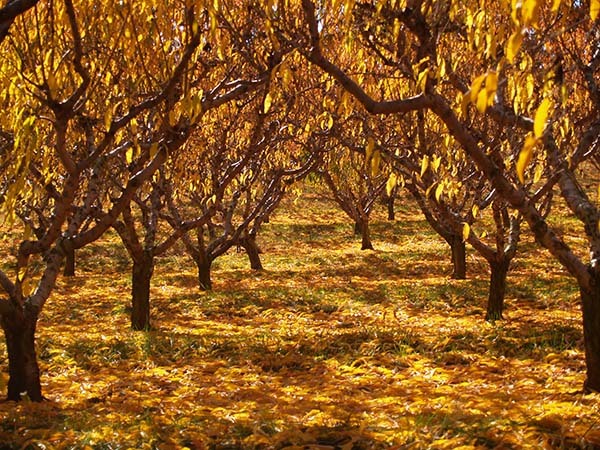 Below are some tips to consider as you embark on starting your home orchard in Virginia! What fruits would you like to grow? Knowing your plant hardiness zone will help you to understand what fruits will survive in the Virginia climate. Most of the Charlottesville area is in the 6A to 7A range. You can check exact areas at this USDA interactive map. The reason this is important is because if the tree cannot handle the temperatures or the shorter growing season, then it will not survive or produce fruit. Just like you cannot grow bananas in Virginia, you cannot grow Apples in Costa Rica. This is related to chill hours and length of dormancy discussed later in this post. 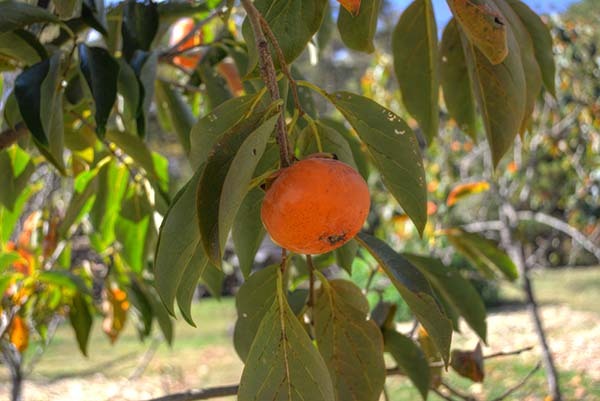 Some of the fruits that can be grown successfully in our area are, Apples, Asian Pears, Chestnuts, Pears and select varieties of Peaches, Nectarines, Persimmons, Plums and Figs. Other fruits can be grown in the area, but will require intensive management and may not produce fruit on a consistent basis. The most important variable to consider before planting your orchard is site selection. The site can determine your success or failure. Once you have committed to a site, it is difficult and costly to change, as-in, you will need to start at the beginning again. The soil needs to drain well. Roots that are in water-logged soil will cause the tree to die. The soil needs to be fertile and slightly acidic. PH should be around 6.5. Before planting, take soil samples to determine the pH and the nutrient level of the soil. Generally, the extension service or your local farm supply store can help you with this. In addition to the fertility and pH tests, have the soil tested for nematodes(microscopic worms). Many fruit trees can be damaged by nematodes. If you have a high count, the soil can be fumigated, but it is better to know in advance rather than after you have planted your orchard. Spring frosts and freezes happen every year in Virginia and can kill your fruit buds. Selecting a site with some elevation will help you survive these cold periods better. Cold air is heavier than warm air and will flow to the lower areas, so it is important to plant on the higher elevations of your property. Low spots are considered frost pockets and you should not plant there. Make sure your orchard is in full sun and not shaded by your house or taller trees. Shade impact the quality of the fruit and also promotes diseases because the areas stay moist for longer periods. Different varieties of fruits have different needs for growing conditions. Check the temperature requirements, chilling hours and pollination needs before you purchase your trees for your Virginia home orchard. Some fruit trees are self-pollinating whereas other need up to two other varieties for pollination. You need to make sure that their bloom periods overlap. Most nurseries will have a pollination chart showing this information. 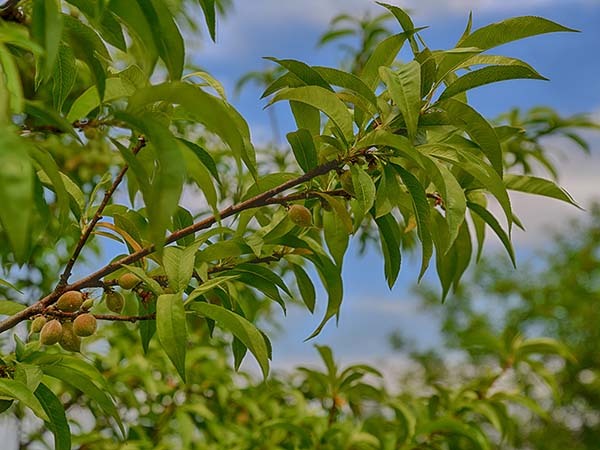 Peaches in Virginia need approximately 800 hours between 35 and 50 degrees to meet their chilling requirement and not bloom out too early and be killed by early spring frosts. When looking at varieties of fruits to plant, make sure to purchase those that meet the proper chilling requirement for your area. To find out your chilling hours, there is an app for that! Most fruit trees are either budded or grafted, meaning that the top part of the tree (scion) has been fused with a root system (rootstock) to create the tree. There are many rootstocks available and it can be quite confusing. In apple trees, the rootstock can determine the size of the tree, if it needs to be supported and they can even provide some disease resistance. In general, the smaller the tree, the earlier you will be able to obtain fruit and they are more manageable. The rootstock type will determine the spacing that you will need between trees. Obviously, the smaller rootstock will allow for the trees to be planted closer together and will need to have some support such as electrical conduit, trellis or wooden post. Bigger rootstocks need more space. The number of the rootstock does not necessarily dictate if it produces a small or large tree nor does the rootstock size dictate the size of fruit that you will produce. One thing to watch in your Virginia orchard is that it is advantageous to have a rootstock that has a high resistance to fireblight. Fireblight is a bacterial disease that can kill your trees and spreads quickly to other trees. Fireblight generally strikes when it is wet during the blooming period. 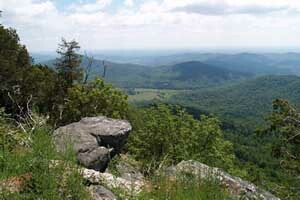 With Virginia spring showers, you will need all the help you can get to not get fireblight. Late autumn is generally the best time to plant as the roots will grow through the winter and your trees will be more established as they go into the growing season in the spring allowing for the tree to obtain maximum growth in its first year. If you order from a commercial nursery, the trees will usually be shipped bare root and need to be planted as soon as possible. Think about how you want to organize your orchard and where pollinators need to be. Varieties that need cross-pollination need to be no more than 50’ from each other. Dig the holes about twice the size of the roots or approximately 18 inches in diameter and depth. If you use a post hole digger, make sure that the sides of the hole are loose and not compacted, which will restrict the growth of the root system. Remove any injured roots above the point of the injury and shorten any roots that are excessively long and do not fit properly into the hole. If the tree has been grafted to a rootstock, be sure the union joint (where the graft is at the rootstock) is planted about two inches above the soil line. Burying the graft union, defeats the characteristics of the rootstock by allowing the scion to grow its own roots. Be sure to tamp around the roots to be sure that any air pockets have been eliminated. Fill the hole with the soil taken from the hole and never mix fertilizer or manure with the soil as this can burn the roots and kill the tree. Be sure you water the trees after planning. Once the tree is planted, cut the tree trunk with a slanted cut (heading) at about 32” above the graft union. Cut back any broken branches. If the tree has branches, remove any that are 18” or less from the graft union. If any branches are 50% or more of the size of the trunk of the tree, remove those as well. This goes against what most people believe, but if these limbs are not removed, the tree will place more energy towards them creating a problem tree in the future. Like children & animals, proper training in the first few years will result in higher quality trees and fruit in the future. If the tree has limbs then the heading cut should be approximately 18” above the last limb. Think about how you want your tree to look. Larger branches at the bottom tapering to smaller at the top. You are building the beginning foundation of the tree. If you have a large limb towards the top of your tree, remove it. Three or four weeks after planting, you can place fertilizer (nitrogen) around the tree but be careful not to over fertilize or let the fertilizer hit any part of the tree. Use about 4 ounces of fertilizer such as 10-10-10 in a ring at least two feet from the trunk of the tree. As your trees grow, use annual soil test to gauge how much fertilizer you need to apply. 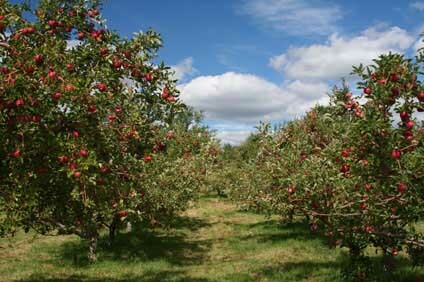 Too much of any nutrient can be detrimental to the establishment of your orchard as well as the quality of your fruit. Make sure the area around the base of the tree is free from weeds and grass. Mulch is not a good idea because it creates shelter for mice and voles. If you want to place something around the tree to help with weed control, you can use small pea-sized gravel or herbicides. Both insects and diseases can kill your trees or greatly impact the quality of your fruit. There are a plethora of problem pests and I’m not going to get into that here. Talk with your county extension agent or farm supply dealer to learn about what to look for and how to treat for them. You need to learn what time of the year to be expecting each disease or insect and be prepared prior to its arrival. One disease that surprises a lot of new apple growers in Virginia, is cedar apple rust. This comes from cedar trees nearby, so make sure you remove any cedars in close proximity to your orchard. This one goes against human nature but hear me out! In the spring, once the small fruit starts appearing on the limbs (nickel sized), you want to remove quite a bit of it. This goes for peaches, apples, nectarines and all types of pears. Mother nature produces as much fruit as possible in hopes that some will survive. If all or most of the fruit buds survive and produce fruit, the tree cannot handle the weight and limbs will break. The fruit also will be small and sometimes in clusters, which make for great breeding grounds for insects and diseases. So you want to break up your clusters and remove fruits to where they are spaced about 4-6 inches apart. In addition, if you don’t thin, you stress your trees so much that they may not bear any fruit the following year. Every year you should prune and train your trees. Once again, you should talk with your extension agent about the proper way to do this. There are a multitude of growing systems (trellis, vertical axe, and so forth) and pruning and training can be different for each type. Pruning and training can also be different by variety as well. Deer love to eat fruit buds during the winter. If you notice that the limbs and tip ends of your trees have been broken off, it is probably deer damage. If you can do it, you should build a deer fence around your orchard, if not, then there are products available that will help to keep the deer away but are not 100%. Deer can destroy your trees not just by nipping the buds, but by also rubbing their antlers on the bark exposing it to disease and insects as well as weakening the tree structure. During the cold and snowy winters, mice and voles can live in any debris surrounding your trees and can make a network of tunnels, chewing away at the fruit trees’ roots without you ever knowing that they are there. In spring, if your trees are showing signs of stress, you might check around the roots to see if there is any vole damage. 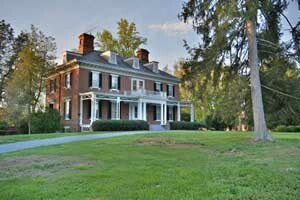 If you want to have a great home orchard in Virginia, there is a lot of thought and work that must go into it. It is a wonderful and rewarding experience to watch your small trees grow, blossom and bear beautiful fruit over the years!